Knowledge of anatomy is a foundation course in medical education, viewed to be critical for the diagnoses and treatment of disease, as well as being essential for sculptors and painters. 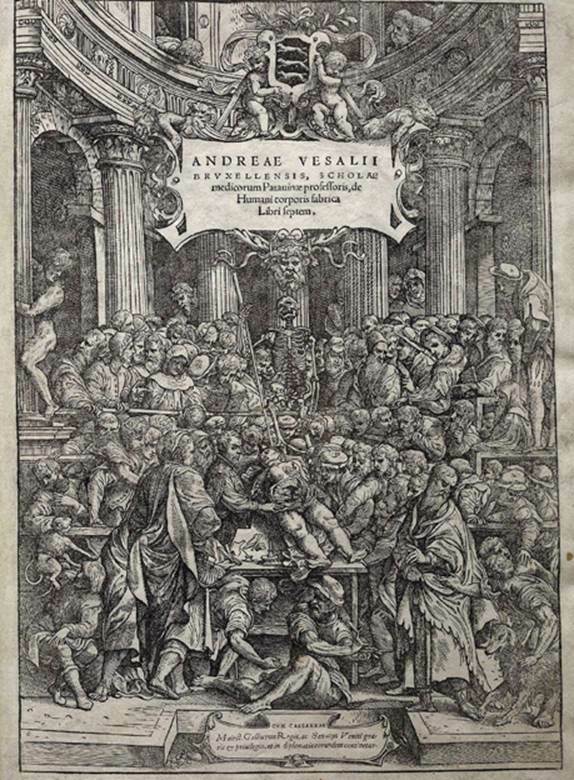 When the Flemish anatomist Andreas Vesalius assumed a professorship at the University of Padua, a major center of medical education in the sixteenth century, anatomy lectures were based on Galen’s texts written almost fifteen hundred years earlier. These classical readings were followed by a dissection performed by a barber-surgeon as directed by the lecturer. Vesalius broke with tradition and performed the dissections on corpses himself, with his students surrounding the dissection table. But what Vesalius saw did not always correspond with Galen’s time-honored descriptions. Galen, the most accomplished of all medical scholars of antiquity and physician to the gladiators of Pergamon, had access to examining many human subjects. But because human dissections were banned in Ancient Rome, Galen prepared his anatomical drawings using Barbary apes, arguing that they were sufficiently similar to humans. In 1543, at age 28, Vesalius published the first edition of De humani corporis fabrica, a work that included the complete structure of the human body, with the first detailed images of the internal organs. The book, containing two hundred woodcuts, was didactic and accurate, correcting Galen’s errors. Always the perfectionist, Vesalius insisted that the artwork also be aesthetically pleasing. The final work was a true collaborative effort between the dissector and the illustrator, with the woodcuts historically attributed to Jan Stephen van Calcar, a student of the Italian Renaissance painter Titian. Vesalius envisioned the book’s readers to be not only physicians and anatomists but also artists. After some initial resistance to this challenge to Galen, the book led to Vesalius’s fame and fortune and is today regarded as one of the most famous books in medicine and science. Of the approximate 500 copies originally printed, 130 are extant. In 1564, Vesalius drowned in a shipwreck in the Ionian Sea near the Greek Isle of Zakynthos (Zante), while returning from a pilgrimage to Jerusalem. SEE ALSO: Skeletal System (c. 180), Leonardo’s Human Anatomy (1489). Frontispiece to Vesalius’s De humani corporis fabrica, the first complete, detailed, and accurate text on human anatomy.